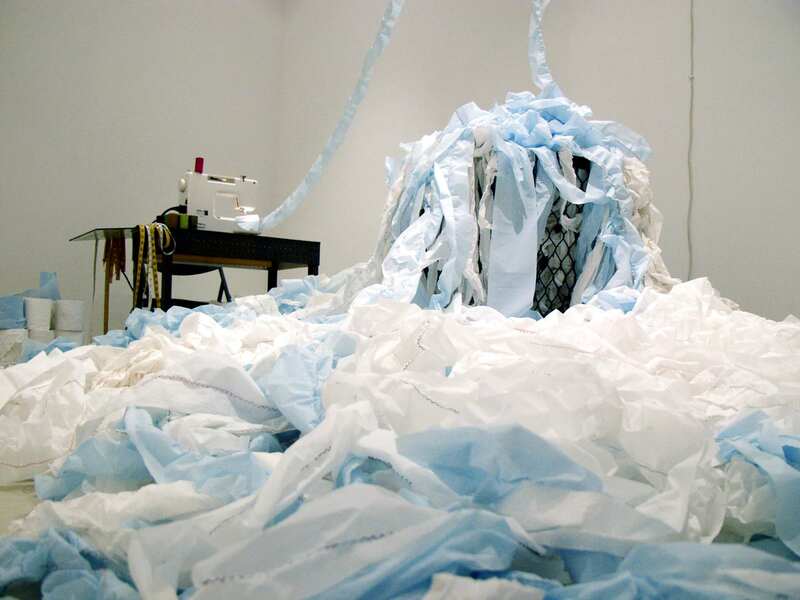 “24/7”(2002), an installation shown at The Asian American Arts Centre, comments on the nature of the sweatshop and the exploitive aspects of globalization. 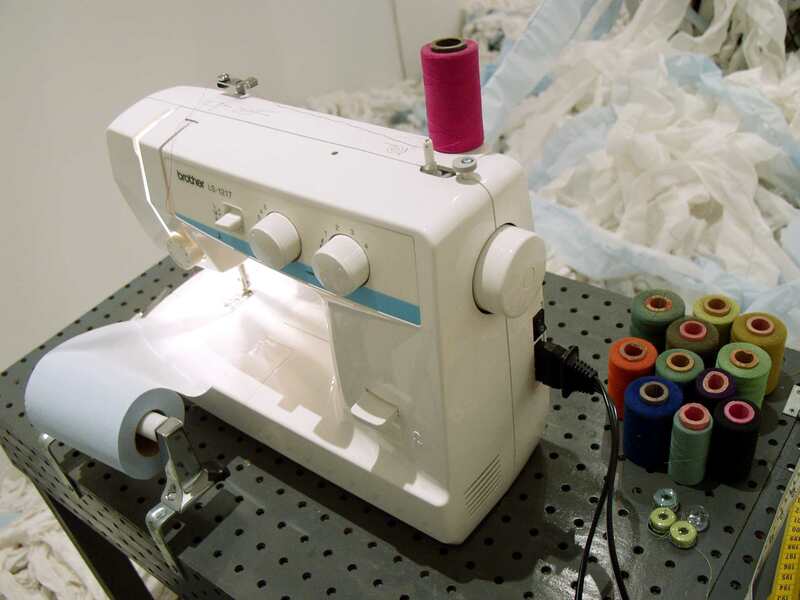 This installation involves electric sewing machines which run continuously, sewing spools of multicolored thread onto endlessly unraveling rolls of toilet paper filling the installation space. 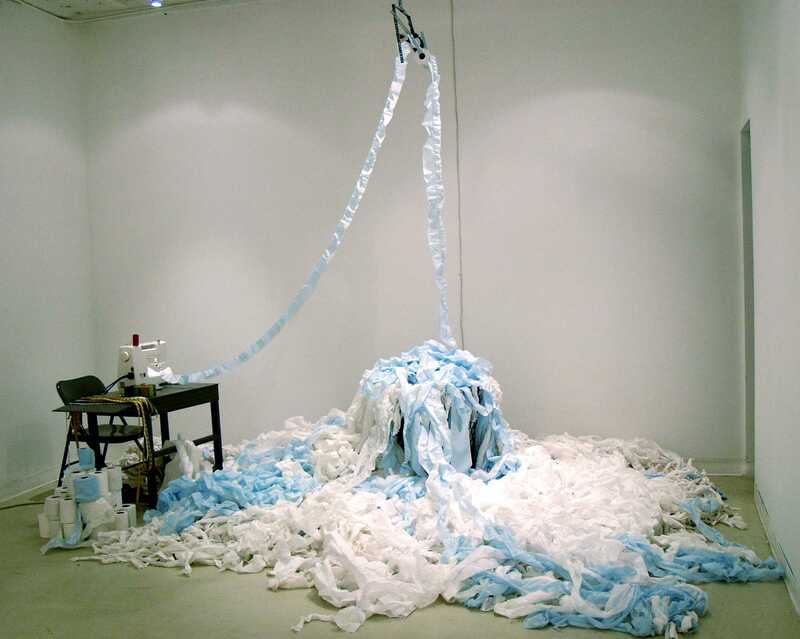 The continuous motion performed by the machines is both repetitive and compulsive. Yet the results are fragile, colorful and infinite in their variety, much like the delicate hand crafted beauty of the work performed in sweatshops.